I love your setup, and it inspired me to try and play with a similar rig. I’m just starting out with Mobius, and I’ve got it working quite well with a Softstep 2 footcontroller, I can record loops and stuff like that. What I can’t work out how to do is how to make it change loops across all tracks at the same time. Is that an advanced scripting thing, or is it a setting I just haven’t found? 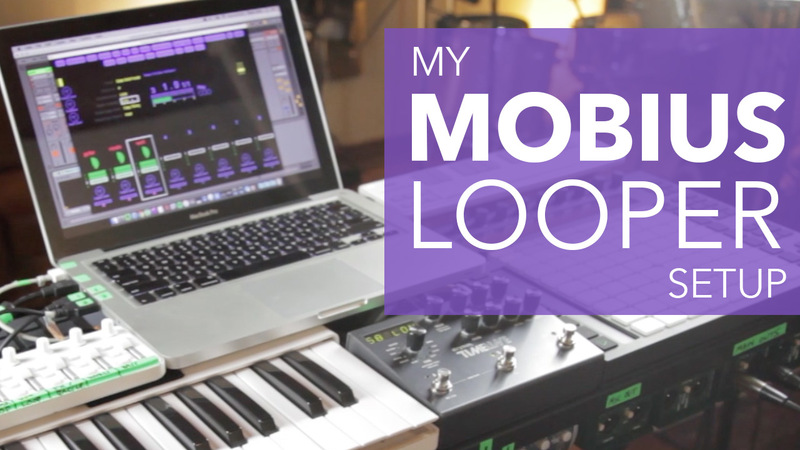 In your Mobius Looper Set Up video above at around 7mins it shows mobius changing loops across all tracks at the same time – that is what I would LOVE to know how to do! Could you please let me know how you achieved this?